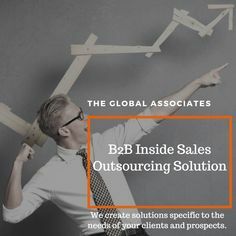 The present-day business scenario with extremely busy decision makers and ever-intensifying global competition makes the job of maximizing The Global Associates Lead Generation in India a tough nut to crack. You have no choice but to invest in expensive technologies to remain competitive putting even more burden on your budgets, however, you can still succeed in effectively boosting lead generation in India without relying too heavily on expensive technology if you follow some basic fundamentals of lead generation. Amidst all this din about the usefulness of technology, sales people unfortunately tend to forget about some basic things to do that are essential for greater success. By following these fundamentals, you can effectively maximize lead generation in India, and help your clients grow their businesses as well. Some of the things you need to do to run a successful lead generation campaign are discussed below. Sales process always begins with a meaningful conversation between a sales person and a customer; this process cannot move too far unless you build credibility with the prospect. The customer won’t spend time and money on the deal if they don’t trust and respect you, they need to be convinced about your good intent and capabilities. Show them that you are an expert in your field and possess what it takes to do their job. Establish yourself as an industry peer in their eyes and you will have their trust. Learning to connect well with the prospect is essential to take the sales process forward. Empathize with the customer to elicit required information about their needs and issues. This will help you prepare a customized solution and win their confidence about your real worth for their company. Learn to be generous if you really want to maximize lead generation in India successfully. Present yourself as a problem solver with good intent instead of acting like an outright sales person. Having the customer’s best interest at heart will improve your prospects a great deal. In addition, keep good relations with your industry peers; reciprocate with useful information, industry tips, insights or business intelligence or help them with some honest advice in return to their help.